The chips will be made using TSMC's 7-nanometer process, DigiTimes claimed on Thursday. The A11 Bionic processor in the iPhone 8 and X is a 10-nanometer model —shrinking die size makes it possible to pack more performance into the same space and/or improve power efficiency. To keep ahead of Samsung, TSMC is also said to be preparing a 5-nanometer facility that should start construction later this year and embark on a trial run in the first half of 2019. A 3-nanometer factory valued at $20 billion should begin construction in 2020. This summer Samsung was rumored to be competing with TSMC for "A12" orders. For years the company was in fact the exclusive manufacturer of A-series chips, making use of a factory in Austin, Texas. Apple decided to phase TSMC into production however, eventually supplanting Samsung completely. TSMC may have won again this year due to its technological edge in 7-nanometer production. Samsung is expected to launch 7-nanometer lines later this year, with plans for developing 6- and 5-nanometer processes in 2019, and rolling out 4-nanometer chips in 2020. 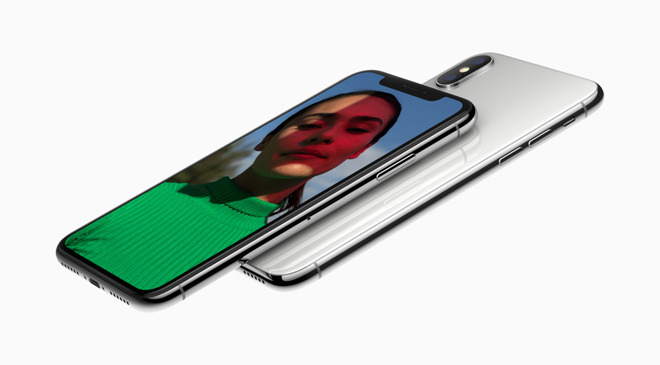 Apple is believed to be preparing three iPhones for this fall: two OLED models, sized at 5.8 and 6.5 inches, and a 6.1-inch LCD unit intended to be more affordable.